Travelling along the A3 Lezayre Road from the direction of Ballaugh, take the turning on the left into Gardeners Lane as shown on the map above. If you are travelling from the direction of Ramsey, Gardeners Lane is approximately 100m past ‘Milntown House’, on the right hand side of the road. Continue down Gardeners Lane and Auldyn Meadow can be found on the right hand side of the road. Airing cupboard and cloaks cupboard. Loft access. Stylish, fully fitted contemporary kitchen by top German manufacturer, featuring: stainless steel extractor hood, ceramic hob, oven, fridge freezer, dishwasher* and microwave*. Stainless steel 1½ bowl sink with chrome mixer tap, plus stainless steel single bowl sink with chrome mixer tap in the utility room (where applicable). Open plan to sun room. Window overlooking the rear garden, open plan to kitchen diner. Triple aspect room open plan from kitchen diner, with Bi-fold doors to rear garden. Quality white porcelain suite featuring a wall mounted basin, WC with concealed cistern, bath complete with bath screen* and thermostatically controlled shower. Polished chrome fittings throughout. Heated chrome towel rail. 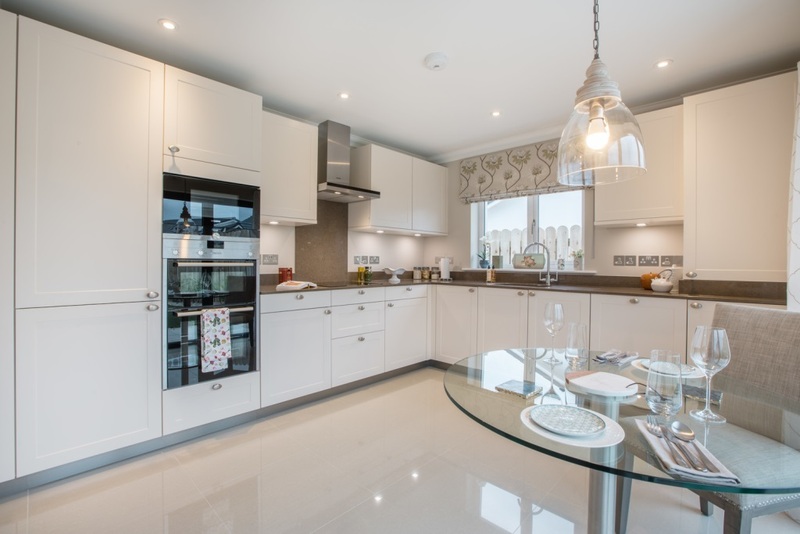 Designed by multi-award winning architects and featuring flexible open plan layouts, these superbly appointed contemporary homes are ideal for a growing family or for those who want to make the move to a more energy-efficient, low maintenance home. Constructed to award winning standards, all homes at Auldyn Meadow benefit from excellent levels of insulation, high quality double glazing, central heating and hot water systems powered by the latest generation in energy efficient boilers to help save money on your energy bills. Superior craftsmanship, meticulous attention to detail and the use of premium quality materials ensures the highest levels of build quality and finish throughout your new home. Featuring a superb level of specification, these stylish, energy efficient homes include lots of luxurious ‘extras’ at no extra cost; and in addition to our own rigorous quality control systems, every home is independently inspected by the National House Building Council (NHBC) and comes with a 10-year NHBC warranty for additional peace of mind. 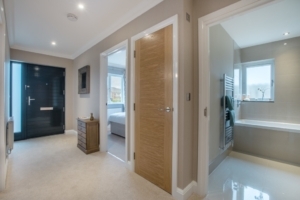 High quality oak veneered internal doors fitted with attractive contemporary chrome handles. Walls and ceilings covered with emulsion. All woodwork is finished in white gloss. A choice of quality floor coverings is also offered. Hardwood entrance door with multi-point locking mechanism for added security. Low maintenance thermally efficient double glazed uPVC casement windows. An energy efficient gas condensing boiler provides central heating via steel panelled radiators. Nest Home Automation System is available as an optional extra. There is a generous provision of electrical points throughout your new home, and USB sockets in the kitchen, living room and master bedroom. 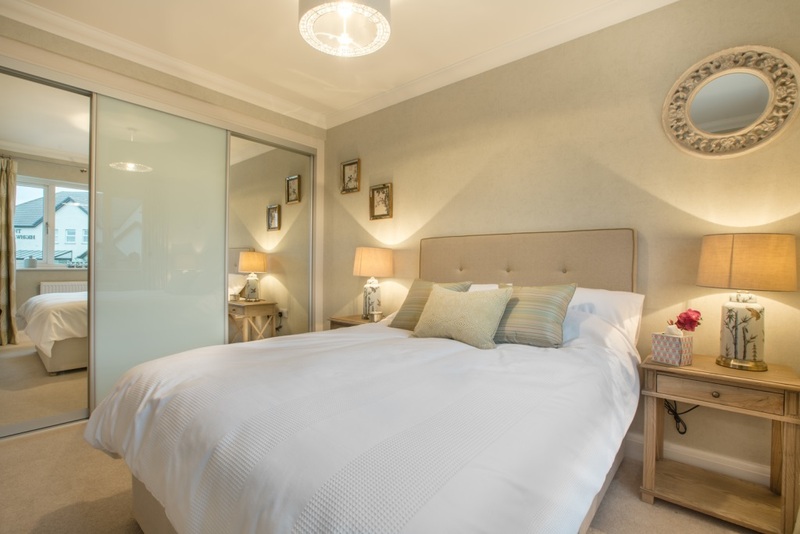 Telephone sockets are provided in the lounge and master bedroom, with a Sky Plus master point in the lounge. Recessed LED down lighting to kitchen, hall, bathrooms and all en-suites. 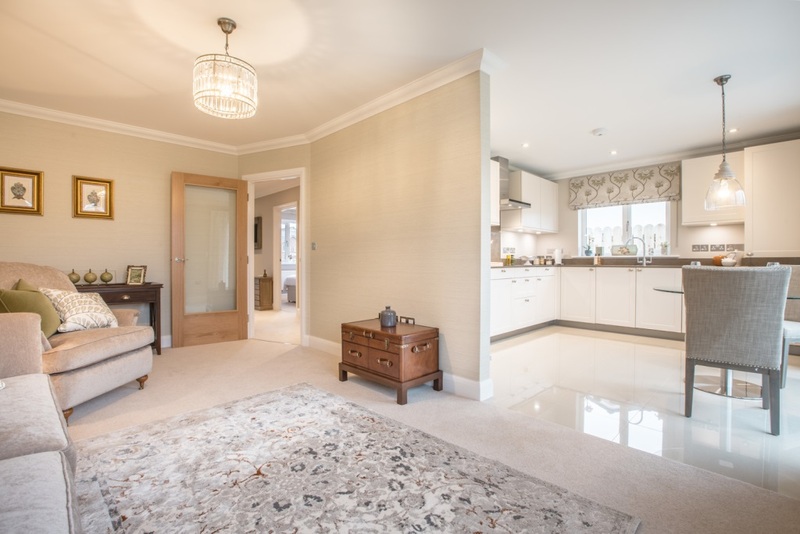 Pendant fittings to lounge, dining room, landing, bedrooms, study and family rooms. Pre-finished insulated garage door. Concrete driveway and paving slabs to rear patio*. Front gardens are landscaped and turfed. Rear gardens are turfed and enclosed with wooden fencing. Mains water, electricity and drainage are installed. Gas fired central heating and uPVC double glazing. DISCLAIMER: The information and images contained in this document are intended to convey the concept and vision for the ‘Auldyn Meadow’ development. They are for guidance only, may alter as work progresses and do not necessarily represent a true and accurate depiction of the finished product. This brochure does not form part of any contract nor does it form any representation or warranty in relation to the Developer, its Employees, Agents or to the ‘Auldyn Meadow’ development or any of their related developments. This brochure has been published before construction work has been finalised and is designed to be illustrative of the development. Whilst these particulars are believed to be correct, their accuracy cannot be guaranteed and during the course of construction there may be some variation to them. Purchasers are given notice that: 1. These particulars do not constitute any part of an offer or contract. 2. All statements made in these particulars are made without responsibility on the part of the agent or the developer. 3. None of the statements contained in these particulars are to be relied upon as a statement or representation of fact. 4. Any intended purchaser or tenant must satisfy him/herself by inspection or otherwise as to the correctness of each of the statements contained in these particulars. 5. The developer does not make or give, nor any person in their employment has any authority to make or give any representation or warranty whatever in relation to Dandara Homes Limited or any part of it. 6. The selling agent does not make or give, nor any person in their employment has any authority to make or give any representation or warranty whatever in relation to Dandara Homes Limited or any part of it. 7. All photography and computer generated images are indicative only. 8. Bathroom and kitchen layouts are indicative only. These superb semi-detached two bedroom bungalow with a single garage feature a stunning open plan kitchen-dining and lounge area and sun room. 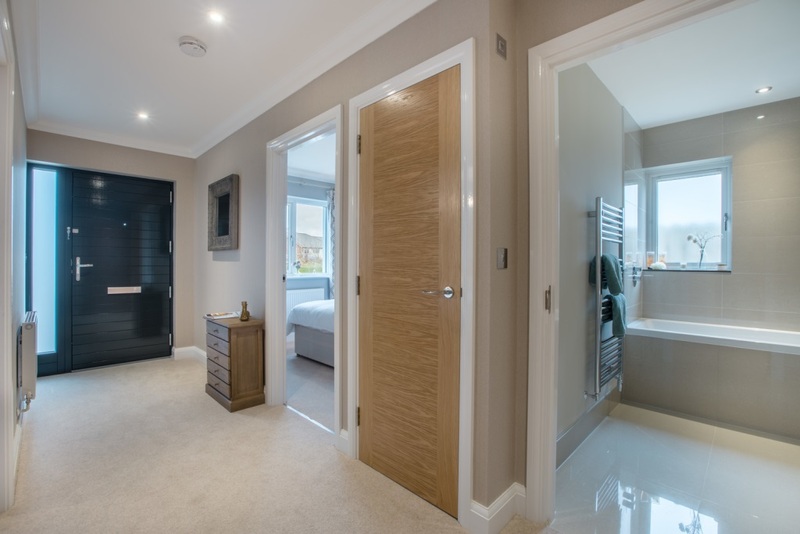 The two double bedrooms both include fitted wardrobes, and there is a superb contemporary bathroom with concealed storage. Within walking distance of the town centre, Auldyn Meadow is tucked away in a convenient location within easy access of the town centre and all local amenities. Ramsey is the Island’s second largest town and benefits from a wide range of facilities, including the popular parkland golf course, to the ten-pin bowling alley and new swimming pool. Surrounded by rolling farmland and with the Sulby River half a mile to the north, Auldyn Meadow is a charming development, ideally positioned to offer you easy access to everything the town has to offer. The excellent local primary school and grammar school are both within walking distance and Ramsey’s main shopping centre, the swimming pool and popular beach are just minutes away by car.